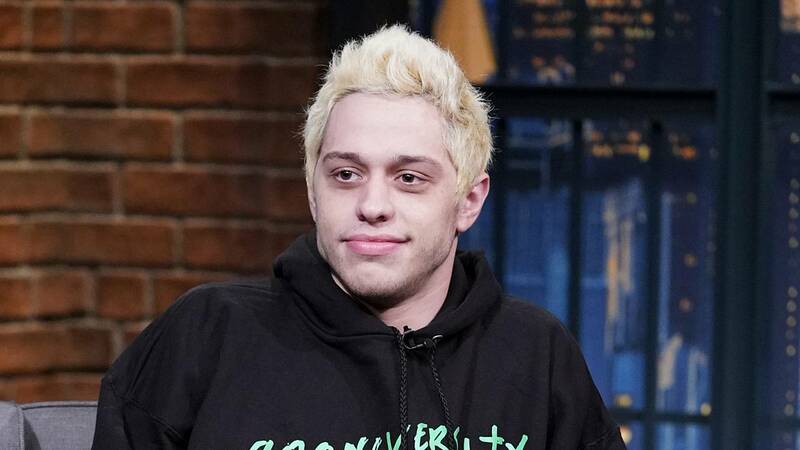 "Saturday Night Live" cast member Pete Davidson deleted his Instagram account on Saturday after he shared a post that suggested he did not "want to be on this earth anymore." Davidson posted on his Instagram account an image of a note in which he wrote that he was "doing my best to stay here for you but i actually don't know how much longer i can last. all i've ever tried to do was help people. just remember i told you so." Davidson was attacked by people on Instagram after he shared a post in which he supported Kanye West's commentary about mental health. West and Davidson's ex-fiance Ariana Grande had traded a few pointed comments about mental health on Twitter prior to Davidson's post. Davidson and Grande broke off their engagement earlier this year, and both took a break from social media following the announcement that their relationship had ended. Since Davidson came to "SNL," he has been fairly open about his own mental health struggles and his borderline personality disorder diagnosis. He often incorporates those challenges into his work on the show. Many shared their support for Davidson and their disgust with those who bullied the comedian after he shared the post. Davidson's representatives at NBC did not immediately respond to a request for comment on the post. Instagram also did not immediately respond when asked whether they deleted Davidson's account or whether the comedian deleted the account himself. If you or someone you know is in crisis, call the National Suicide Prevention Lifelineat 800-273-8255, text TALK to 741741 or visit SpeakingOfSuicide.com/resources for additional resources.